Snooki and her castmates came together to spearhead the fundraising efforts to rebuild the Hurricane Sandy devastated Jersey Shore. Snooki led the way on Monday morning when she made an early start on Good Morning America to appeal for funds. As a resident of the area Snooki has been busy tweeting to her many followers with appeals to help. Buildings were knocked down, roads swept away, the historic boardwalk partially destroyed, and a piece of the iconic Star Jet rollercoaster was left hanging into the ocean after the storm hit Sunset Height a week ago. 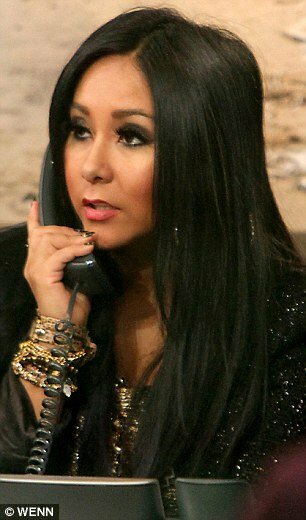 On November 15th, Snooki will appear alongside her former Jersey Shore castmates in a one-hour fundraising special. The program will be broadcast from MTV’s Times Square studio in New York. The network said on Monday that the program will solicit contributions for the rebuilding of Seaside Heights, the heart of the Jersey Shore and the principal setting for the Jersey Shore series. For this effort, MTV will be partnering with Architecture for Humanity, a nonprofit organization that provides design and construction services to communities in need. Seaside Heights was among numerous coastal areas devastated by Sandy last week.